Peter C. Carstensen is a Professor of Law Emeritus. From 1993 to 2002 he served as Associate Dean for Faculty Research and Development at the UW Law School. He is a graduate of the University of Wisconsin, and received his law degree and a master's degree in economics from Yale University. From 1968 to 1973, he was an attorney at the Antitrust Division of the United States Department of Justice assigned to the Evaluation Section, where one of his primary areas of work was on questions of relating competition policy and law to regulated industries. 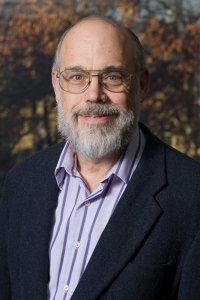 He has been a member of the faculty of the UW Law School since 1973. He is a Senior Fellow of the American Antitrust Institute. His scholarship and teaching have focused on antitrust law and competition policy issues. He has published a number of articles in the field, including a number analyzing aspects of the relationship of antitrust law and regulation. He served as co-editor and primary author of four chapters of the ABA Antitrust Section's monograph, Federal Statutory Exemptions from Antitrust Law (2007) and co-edited Competition Policy and Merger Analysis in Deregulated and Newly Competitive Industries (2008), to which he contributed three chapters. He has also done extensive research on the operation and regulation of markets for agricultural commodities. In 2017, he published Competition Policy and the Control of Buyer Power, which received the Jerry S. Cohen Memorial Fund Writing Award for best antitrust book of 2017. His other areas of teaching and scholarly interest are tort law, energy law and insurance law.